Fifteen 15 Year old Emma has been competing in dressage for three years. Working closely with her trainer Sophie Griffiths, she has trained her current pony Dinky Di-Doff to Level 4 and is planning to contest the Pony of the Year title at the 2019 Land Rover Horse of the Year. Emma is a member of the South Island Talent ID Squad for the 2018/2019 season and is very excited to be representing the South Island in the Inter Island Team Challenge. 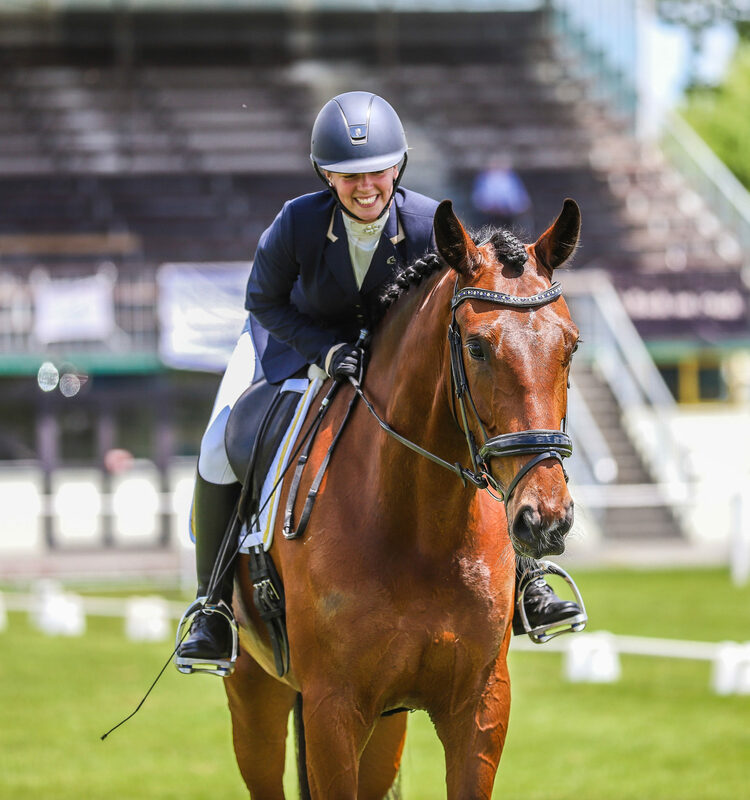 With the opportunities that Dressage NZ has provided, Emma is able to measure and improve her riding as well as meet other inspirational riders along the way. She is thankful for having a supportive family and network which enables her to continue her equine passion. In her spare time Emma enjoys taking on horses to train as she feels you can always learn something new from a different mount. 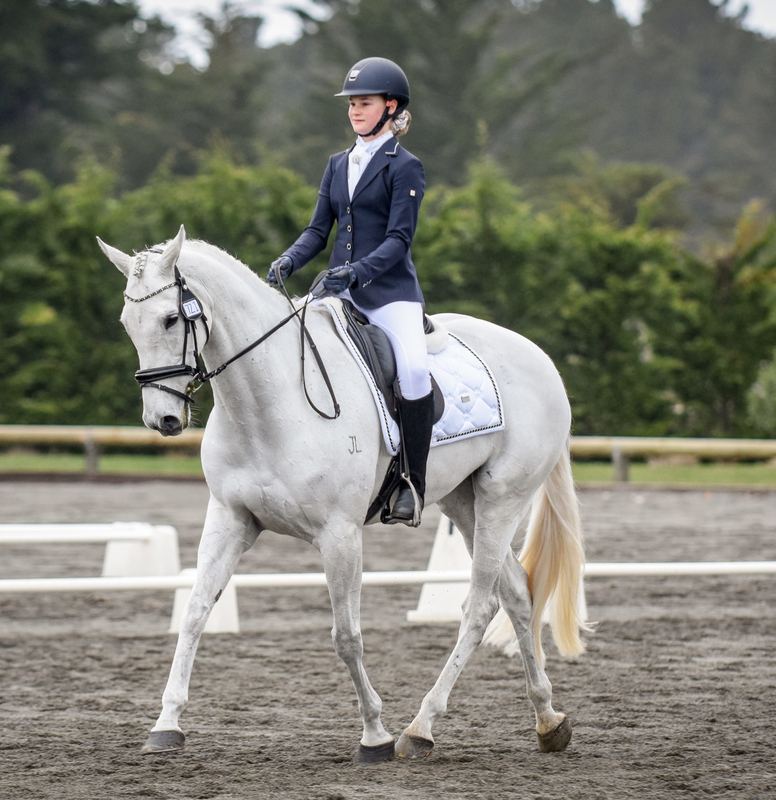 At the 2018 NZPCA Dressage Championships Emma was a part of the winning Canterbury Dressage Team and she was also awarded the highest scoring junior newcomer nationally award. The pair currently hold two 2017/18 national awards, the AMS Young Rider Performance Award Level 1 and the HorseSports Top Ten League Level 1 for horses. Rilee was nominated for the 2018 Tasman Young Sportswoman of the year and is a member of the 18/19 South Island Talent ID Squad. “All I can say is that when I started riding at the age of 4, I could not envisage that I could reach these levels – especially when I still see horse riding for enjoyment>I can never thank Anna enough for letting and teaching me how to ride Solly, and about dressage in general. Giselle is a 14 year old from Queenstown who has been riding for two and a half years. Her trainer, Coralie Williams from Auckland, has been instrumental in developing her skills having started out at the training levels. She currently has Saltador, a 2* eventer that she still events, and has also taken to ESNZ Dressage Level 3 . The pair have been very competitive at the Otago & Southland Championships and Giselle is looking forward to competing in the South Island Championships. Giselle has been a member of the South Island Talent ID Squad for two years in 17/18 and again this year. She has met some wonderful friends through this opportunity! She is incredibly thankful to Dressage NZ who have helped her achieve her goals so far through providing the platform for her growth. 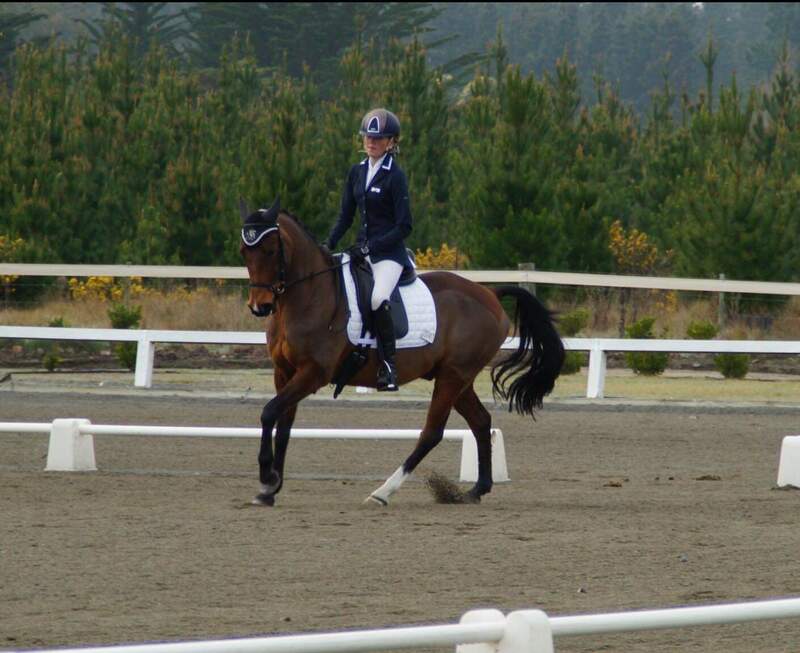 Giselle loves training horses every day, and hopes to represent NZ in dressage in the future, and is “over the moon” to be selected for the Inter Island Team Challenge representing the South Island!